The Eclipse Ti2 delivers an unparalleled 25mm field of view (FOV) that revolutionizes the way you see. With this incredible FOV, the Ti2 maximizes the sensor area of large-format CMOS cameras without making compromises, and significantly improves data throughput. 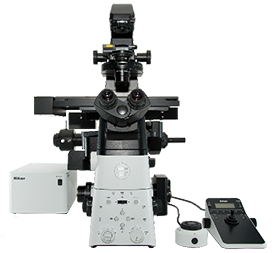 The Ti2’s exceptionally stable, drift-free platform is designed to meet the demands of super-resolution imaging while its unique hardware-triggering capabilities enhance even the most challenging, high-speed imaging applications. Furthermore, the Ti2’s unique, intelligent functions guide users through imaging workflows by gathering data from internal sensors, eliminating the possibility of user errors.